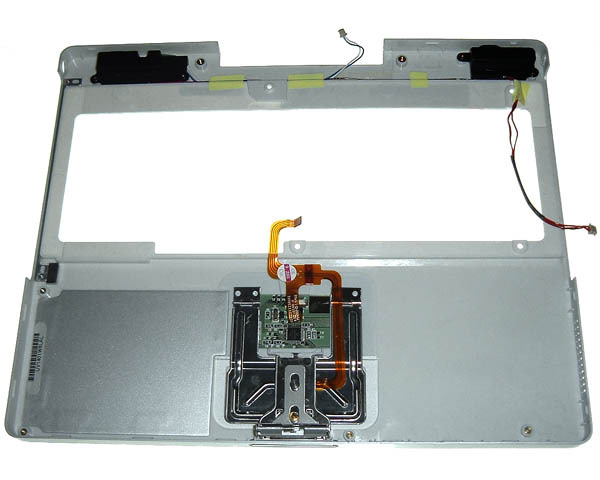 Complete top case for dual USB 12" iBook G3 including palm rest surface, trackpad, trackpad button, trackpad flex cable, speakers & cable, power-on switch & cable and reed switch magnet. This is the pale grey version used on later iBook G3 models. Earlier models used a silver casing.